The world’s oldest annual invention convention starts in three days! One, two, three… Once again inventors are traveling from across the United States to test market their inventions and network with industry experts. Where they are heading to? 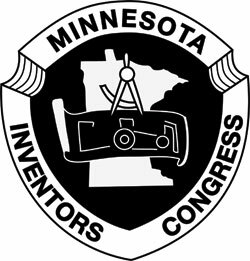 To Redwood Falls in Minnesota where the Minnesota Inventors Congress (MIC) hosts the world’s oldest annual invention convention. You can participate at the Invention & Idea Show this Friday and Saturday at the Redwood Area Community Center. Since 1958 over 5,000 inventions have been showcased there. The event offers inventors an opportunity to test market their inventions, to network with other inventors and to talk to patent attorneys and consultants who are experts in the product development process. Dieser Eintrag wurde veröffentlicht in General und verschlagwortet mit event, idea, inpama, invention, Invention & Idea Show, inventor, inventorhaus, mic, Minnesota, Minnesota Inventors Congress, Redwood Falls, show von admin. Permanenter Link zum Eintrag.